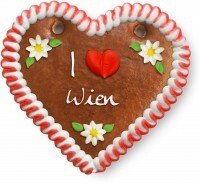 A gingerbread heart as a souvenir of Austria's beautiful capital Vienna. A declaration of love to the city of your choice, e.g. I ❤ Vienna. 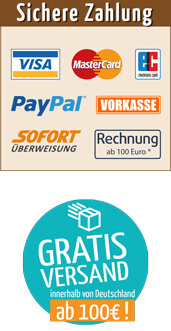 As a souvenir or giveaway to corporate customers. 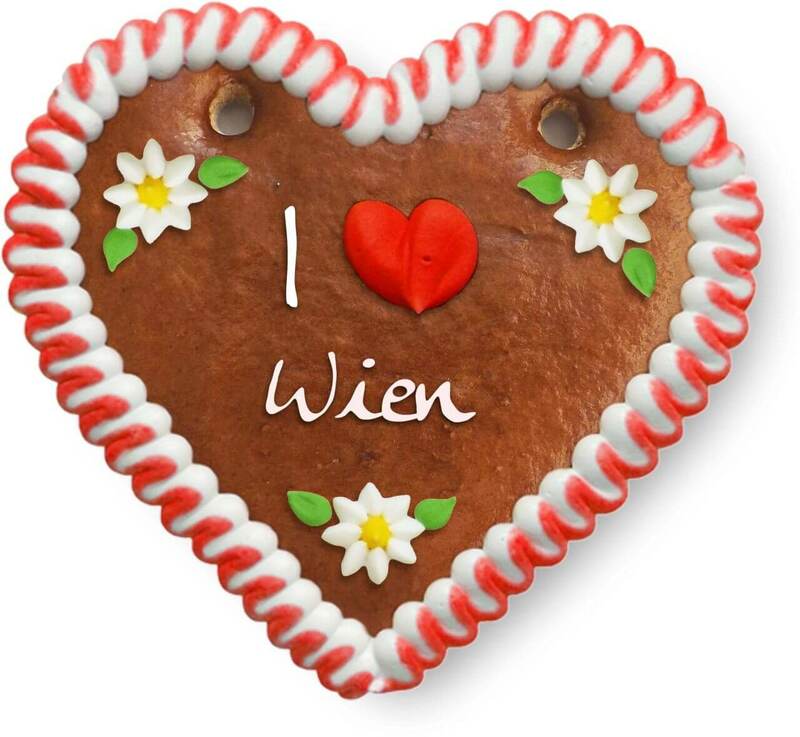 Send greetings in the form of a gingerbread heart with your chosen city names e.g. I ❤ Berlin, I ❤ Hamburg, I ❤ München, I ❤ Köln, I ❤ Frankfurt, I ❤ Stuttgart, I ❤ Düsseldorf, I ❤ Wien, I ❤ Zürich, I ❤ Geneva.